Choose your own smiley face bath décor to make bathing and brushing teeth fun for your kids. 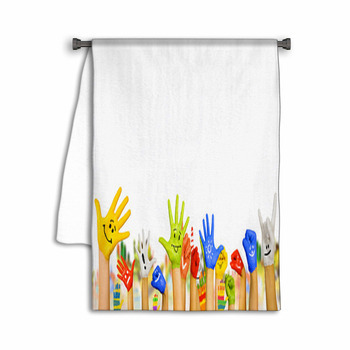 Select personalized towels and more, each showing a hilarious version of the yellow smiley faces that symbolize happiness and lightheartedness. 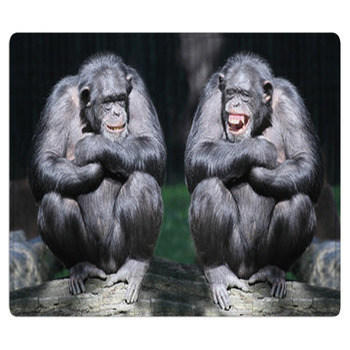 We also offer other unique types of smiley faces, as well as other emotions depicted in the same cartoonish style. 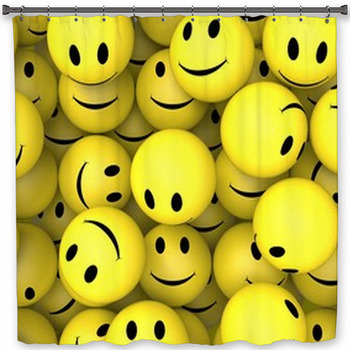 Start off your new smiley face bath décor with shower curtains that add even more elements of joy. A goofy golden character is jumping in the air as he smiles, raising his little eyebrows above his round head and waving his hands exuberantly. 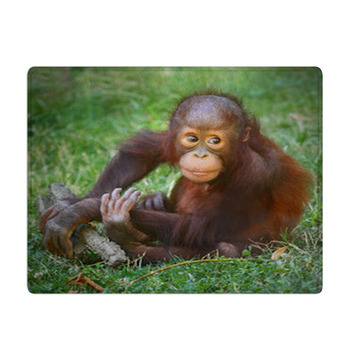 Pair that with a custom bath mat that shows your family's surname beneath a smiley face. You can even create a summertime feel with an illustrated sun that's grinning wildly as he shines rays of light onto the Earth and across your bath mat. 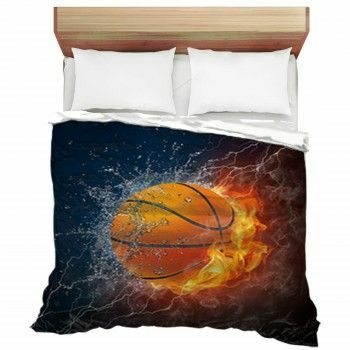 Then let each of your kids pick out their own personalized smiley face towel. 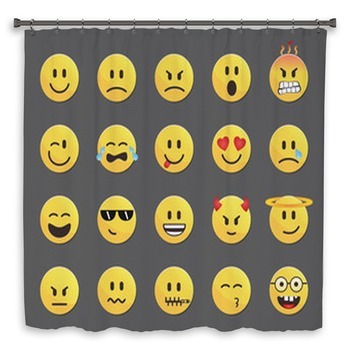 Your son will love a bath towel that shows a whole array of emoticon faces, just like the ones he uses when chatting online with friends. Yellow smiley faces are set beside frowning, kissing, laughing, confused, sleeping and mustachioed faces. For girls, we have hand towels that display a photo of a pair of feet resting in green grass, with a pink and blue smiley face painted on each toe. Some of the other patterns in our smiley face bath décor collection include cute ghosts, silly characters eating pizza, surprised faces, and a face drawn on a lit lightbulb. One more set of shower curtains features a grinning face made from carrots, green beans and other vegetables, making both bath time and good nutrition fun activities for your family. 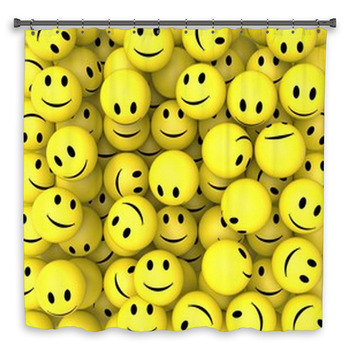 But you don't have to keep the good times just in the bathroom, because we have smiley face themed wall art and window curtains that will spread cheer throughout your home.